Did you happen to see the discourse about cosmetics regulations last week in the news media? Why all of the attention to cosmetics regulations? There are currently two bills that have been introduced to the U.S Congress seeking to update the existing regulations on Cosmetics and Personal Care (CPC) products. So, with that in mind, just how would you document your analytical tests? For example, what if you performed a liquid chromatographic separation for phthalates or parabens? Then you need to consider the chromatography data software (CDS) that you are using for your separation experiment. Make sure it has 21 CFR Part 11 technical controls for electronic documents – in other words, make sure your CDS is compliant-ready. Although compliant-ready usually means that the CDS employs 21 CFR Part 11 (and Annex 11 in the EU) technical controls coming from the pharmaceutical regulations, the technical controls are simply good business practices for handling electronic records. For example, a compliant-ready CDS would require unique login and passwords so that it can document who performed the test, when the test was performed, and the test itself. But, does this approach work in the Cosmetics and Personal Care industry? 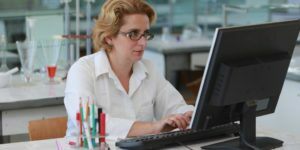 If you consider that major Cosmetics and Personal Care companies use compliant-ready Empower 3 Chromatography Data Software (CDS) for their chromatography operations, then the answer is yes — and it can probably help you, too.